Midland National’s 2018 Vacation Sweepstakes is underway. 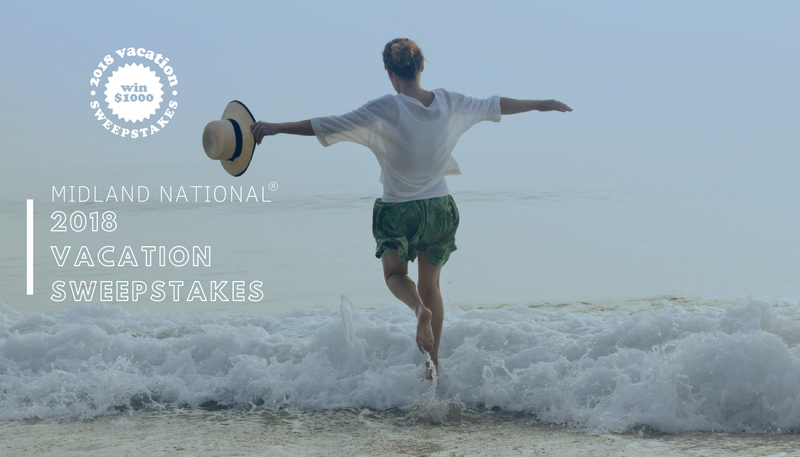 Running through the month of August, the contest features a $1,000 prize to help you plan your next vacation. To enter, visit Midland National’s Facebook page to fill out the entry form. In addition to the $1,000 grand prize, weekly drawings for Amazon gift cards will be offered. 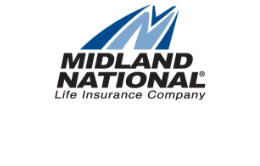 Be sure to follow Midland National’s Facebook page so you don’t miss your next chance to win. Throughout the month of August, Midland will also be sharing great vacation themed content, including vacation budgeting tips, travel ideas for retirees, how to reduce travel stress, how to protect your identity while traveling, and more. Liking, sharing and commenting on the sweepstakes post will inform your family and friends of their chance to enter, but it isn’t necessary to increase your chances of winning. The winner will be notified shortly after the sweepstakes closes on August 31st. The sweepstakes is open to the general public (company affiliates, employees, and agents are not eligible). For more details, check out our Facebook page!